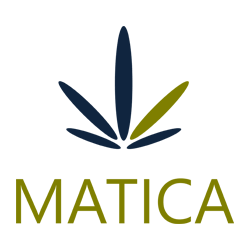 June 19, 2017 – Toronto, Ontario – Matica Enterprises Inc. (MMJ–CSE) (39N – Frankfurt) (MQPXF – OTC PINK) (“Matica” or the “Company”) is pleased to announce that it plans to undertake a non-brokered private placement of up to twenty million (20,000,000) units (the “Units“) to raise gross proceeds of up to $1,000,000 (the “Offering“). The Units will be offered at a price of $0.05, with each Unit consisting of one common share and one common share purchase warrant. Each warrant will be exercisable to acquire one common share of the Company at a price of $0.10 for a period of eighteen months. RoyalMax Biotechnology Canada Inc. (“RoyalMax”) has received a “request for readiness” letter which Health Canada issued in June. These letters along with the improvements to the ACMPR application process announced in late May are a positive development for RoyalMax and the industry as a whole. As such, Management has planned to accelerate the construction schedule and has therefore made the decision to raise funds now for early completion of the RoyalMax facility in Dorval, Quebec. Matica is striving to have RoyalMax become the second licensed producer in the province of Quebec. Proceeds from the Offering will be used for build out of the Dorval facility and general working capital. All securities purchased under this Offering will be subject to a four month hold period. Finders’ fees may be payable on a portion of the Offering in accordance with the policies of the CSE. Completion of the Offering is subject to the acceptance of the CSE. Matica has an agreement with RoyalMax Biotechnology Canada Inc. (“RoyalMax”) for Matica to become a majority owner (70%) of the late stage applicant under the Access to Cannabis for Medical Purposes Regulation (“ACMPR”). Through RoyalMax, Matica is diligently moving forward with its application to become a Licensed Producer of medical marijuana under ACMPR. With permits in place, Matica has started to prepare the facility for retrofitting.